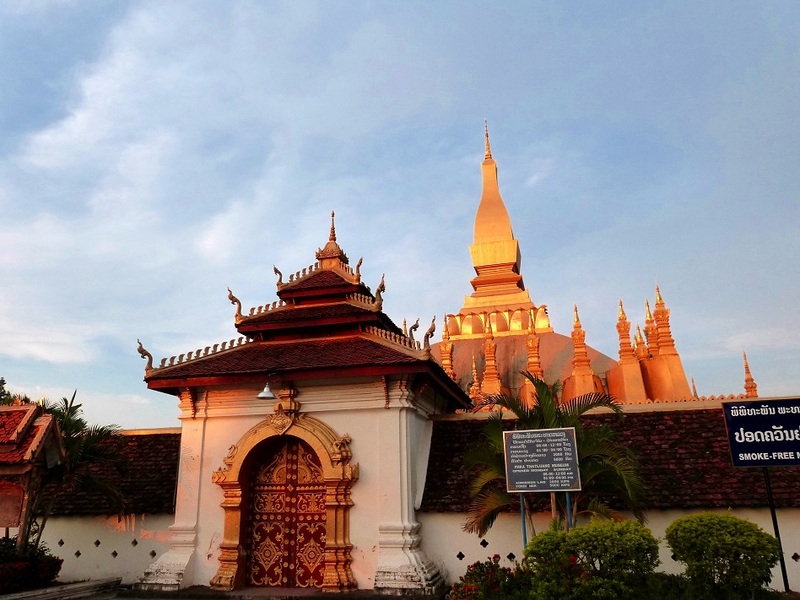 Vientiane in Lao PDR and Nong Khai are associated in this circuit which shows visitors how old French Indochina is deeply rooted along the Mekong River and both cities. Both cities are often neglected by travellers who are just passing through on their way to Bangkok, Vang Vieng or Luang Prabang. Both are however worth a few days visiting. While Nong Khai is well known for its food scene and its riverfront along the Mekong River, Vientiane, the Laotian capital, still retains some of its old charms despite rapid modernization. It is worth exploring at least both places for two to four days before heading to another destination and discovering some of their hidden jewels. The Mekong River is the heart of Nong Khai, with the old town bordering the mighty river. 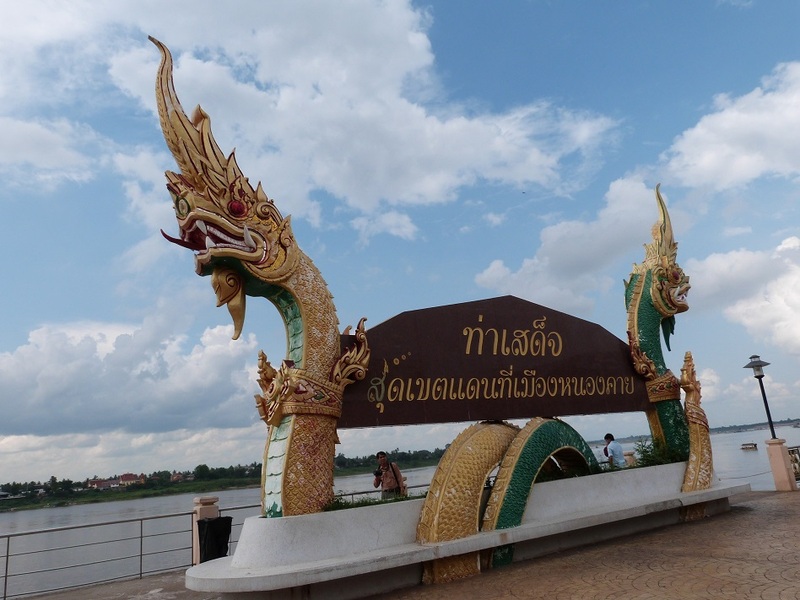 In recent years, a pedestrianized riverfront has been created decorated with giant nagas, Nong Khai being considered as Thailand Naga City. Two huge five headed Nagas adorn the main gate to the city. The Naga Fireballs Festival is celebrated each October on the last day of Buddhist Lent in Phon Phisai. It celebrates the return of the giant Dragon who welcomes Lord Buddha. Small fireballs are then coming on the surface of the River after sunset, They are believed to be shaped by the breath of the Naga. How to get there: Nong Khai is easily accessible by plane from Udon Thani International Airport. It takes between 60 and 75 minutes to reach the city from the airport. Udon Thani has 30 daily flights to Bangkok, Chiang Mai, Hat Yai, Phuket, Ubon Ratchathani and U Tapao-Pattaya. Tha Sadet Market sells items from all across Indochina while river restaurants prepare delicious dishes with specialities of fishes caught in the Mekong River. How to get there: Nong Khai train station and bus stations are located in the vicinity of the city centre. The bus station is located east of the city centre, roughly a kilometre away while the train station is 3,5 km away, southwest of the centre. 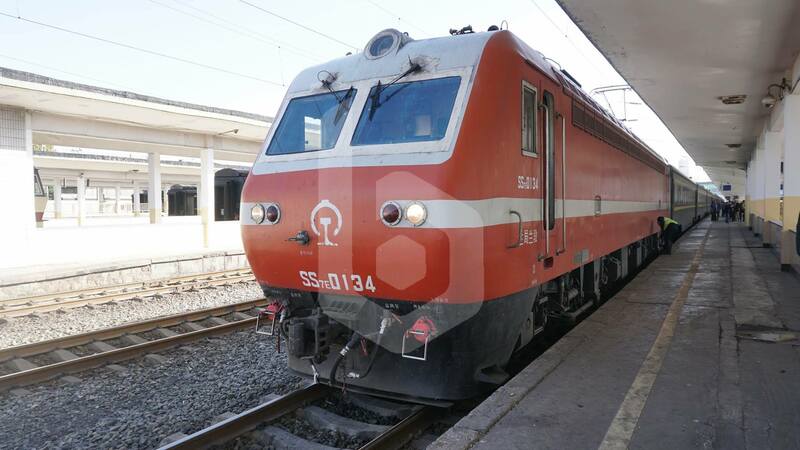 Train from Bangkok reaches Nong Khai in 10 hours. 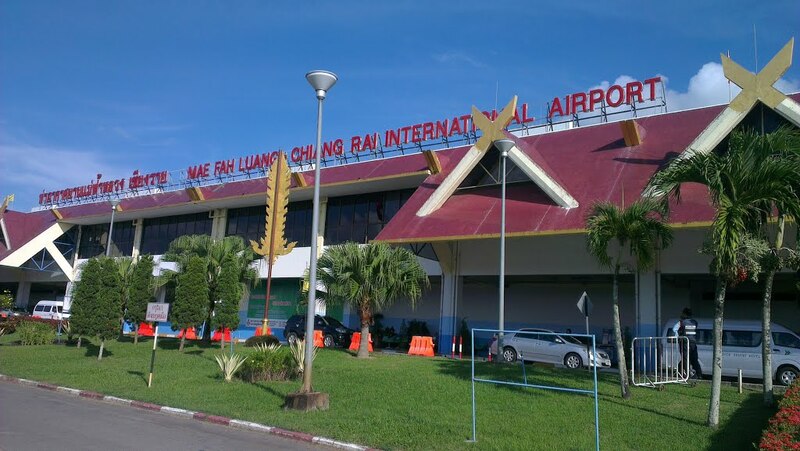 After being alternatively part of the Kingdoms of Lan Xang (Laos) or Siam, the city remained under Siam sovereignty when Western Laos, across the Mekong River, became part of the new French Protectorate of Laos. 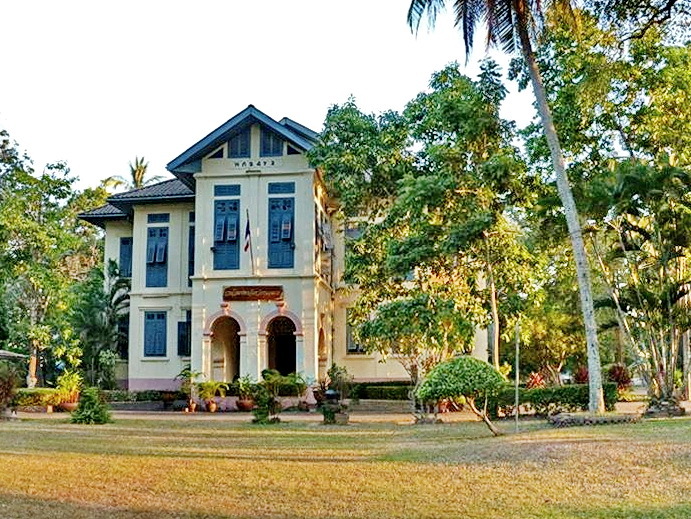 Although Siamese, Nong Khai copied the new French style at the end of the 19th century with a couple of houses built like French houses such as the old governor’s residence, today a museum. A few houses around are also built in French style. Nearby, 1886 built Prap Haw Monument in front of the former Provincial Office (today a college) commemorates Thai-Lao victories over Haw (Yunnan ethnics) invasions in 1874, 1885 and 1886. How to get there: The museum is centrally located on Mee Chai Road, next to the provincial courthouse, 10 minutes away from the River. The opening of the US$30 million, 1,170m-long Saphan Mittaphap Thai-Lao (Thai-Lao Friendship Bridge) on April 8, 1994, marked the beginning of a new era between both countries with the development of trade and tourism. The bridge has two wide-road lanes, two footpaths and a single railway line in its middle. The rail connects Nong Khai rail station to Thanaleng station on the Laotian side. The bridge is already a historical monument as it was the first bridge ever built between Thailand and Laos and a major border checkpoint. In 2017, 22% of all international arrivals passed through the Friendship Bridge 1, equivalent to almost 900,000 travellers. Laotian citizens using the bridge in 2017 mounted to 1.5 million crossing. From Nong Khai banks, they are great shots of the bridge and the Mekong River, particularly at sunset. 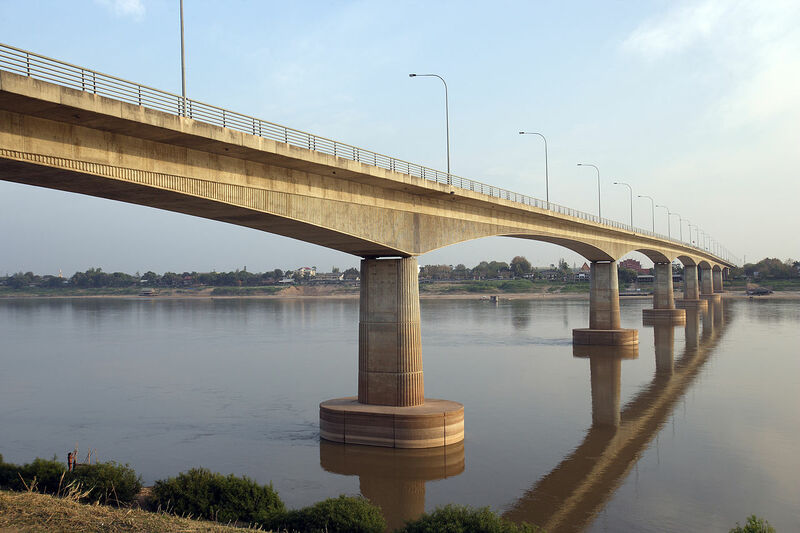 How to get there: The bridge is located west of Nong Khai city centre, 3 km away, a 10-minute drive by motorized transportation. It is also 10 minutes away from Nong Khai rail station. 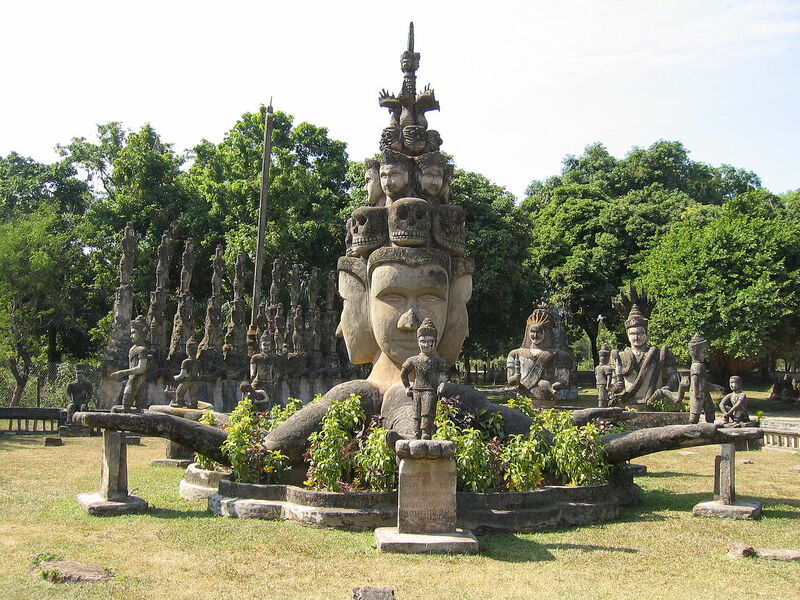 This strange park is the life work of Bunleua Sulilat, a native Nong Khai Thai citizen a Laotian spiritual leader and sculptor who created this park with some 200 sculptures of Hindu deities, Buddhas, but also animals and demons, providing often a oneiric atmosphere. The highlight is a 40-meter long reclining Buddha in the centre of the park. All the statues were made of concrete and sculpted in an often naïve style. Opened in 1958, the park is considered a major tourist attraction by the Laotian government. There is a smaller twin version of the park on Nong Khai side called Sala Keoku, opened in 1978. The park is 5 km away east of the city centre. How to get there: Buddha Park is located 17km east of Thanaleng border checkpoint, a 15-minute pleasant ride along the Mekong River. and a 30-minute drive from Vientiane city centre. The ride from the border goes directly to the Mekong River passing along Mahosot Hospital (some nice French colonial buildings can be seen inside the complex) up to Chao Anouvong Park, a popular area for locals who often comes for picknicks or to enjoy sunset views over the Mekong River. 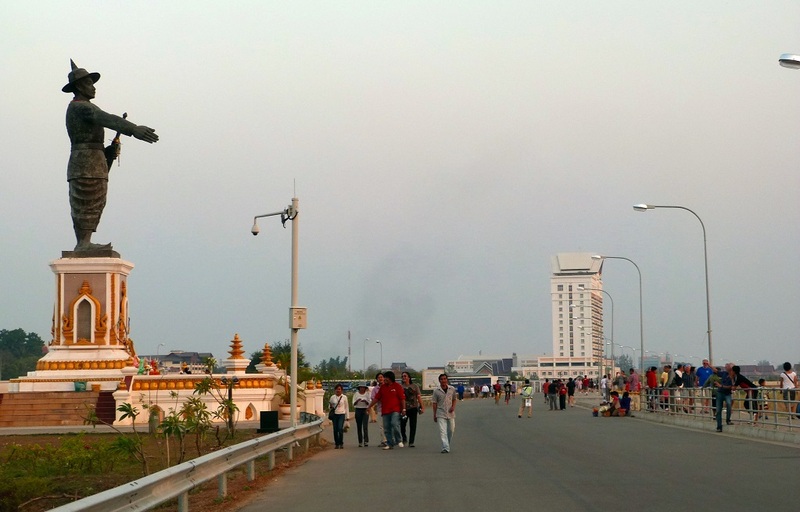 The Park is dominated by a massive statue of King Anouvong. erected in 2010 during Vientiane’s 450th Anniversary. Near to the park, there is a small lane called Watchan Village crossing Fa Ngum Road. 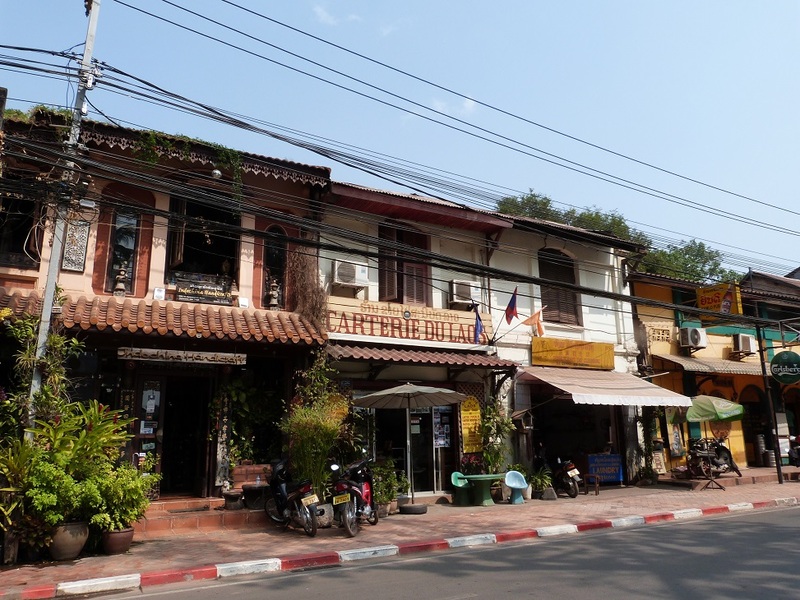 The street is home to some of Vientiane best preserved colonial and Laotian houses including a few restaurants surrounded by gardens and offering a peaceful atmosphere. Easy to find thanks to the presence in the street of Ansara and Le Luxe Boutique hotels. How to get there: Vientiane is easily accessible by bus or air with Wattay airport just 11 km away from the city centre. Trains stop at Thanaleng station, 20 km south of town. Chao Anouvong Park is located along the Mekong River while Watchan Village links Sethathirat Road to Fa Ngum Road next to Ong Teu Temple. A temple is a must-visit place as it is the only ancient preserved temple in Vientiane as it has not been destroyed by the Siamese during the sack of the city in 1828. Built in 1818, the monastery is intact and is home to 6,840 Buddha statues while the interior of the main hall is decorated with exquisite painting. Open every day. How to get there: In the city centre at the crossroads of Samsenthai Street and Lane Xang Avenue. This is the heart of Vientiane old town with many old French houses lined along Sethathirat Road and being today used as handicraft shops, art galleries, restaurants, trendy bars as well as hotels. Vientiane nightlife is also developing around that road and around Nam Phu Square, famed for its illuminated fountain and its open-air stage filled with performances of young Laotian musicians. The square is surrounded by trendy pubs, restaurants, bakeries and small supermarkets. How to get there: The city centre is easily reachable by any transportation and is easy to find west of Lane Xang Avenue. 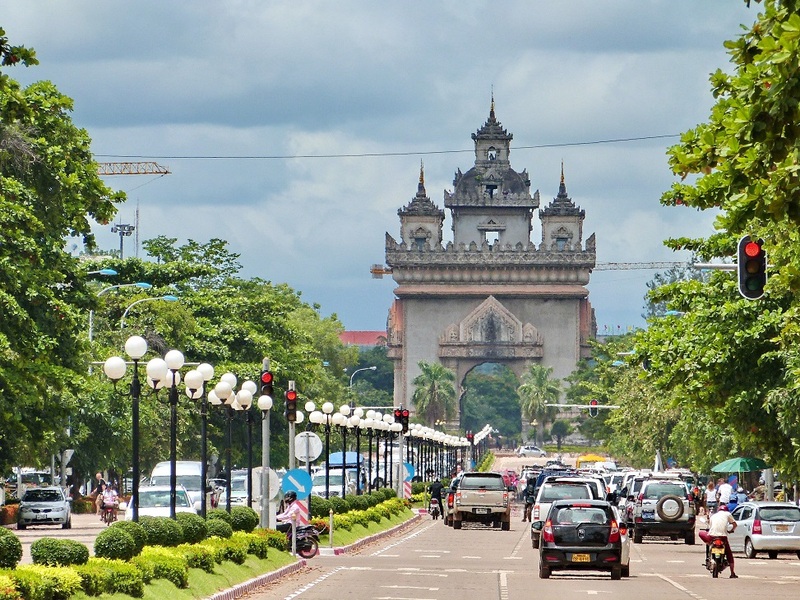 The large street with its incessant flow of cars is considered as the Vientiane answer to Paris Champs-Elysees, starting from the Presidential Palace to the Victory Arch (Patouxay Park). 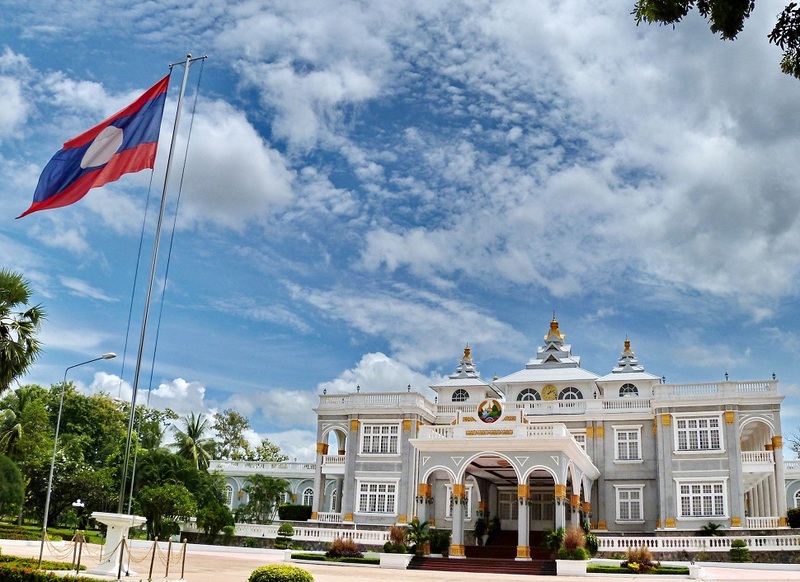 The Avenue is a concentrate of all architectural styles of Laos: The lower part of the avenue is lined with some imposing French colonial villas while Soviet-style architecture is to be seen at the Post Office and partially at the Morning Market (Talat Sao) while modern architecture can mostly be seen in the upper part of the avenue. The Victory Arch is a copy of Paris Arch of Triumph and is accessible on its top with probably Vientiane best sky view. The monument was built in 1957 just after the independence. How to get there: Lane Xang Avenue is the main artery of Vientiane city and is easy to be found. The elegant stupa surrounded by walls is certainly Vientiane best-known symbol with its 45-m central structure covered in gold. The monument was constructed in 1566 and rebuilt after World War II in 1953. 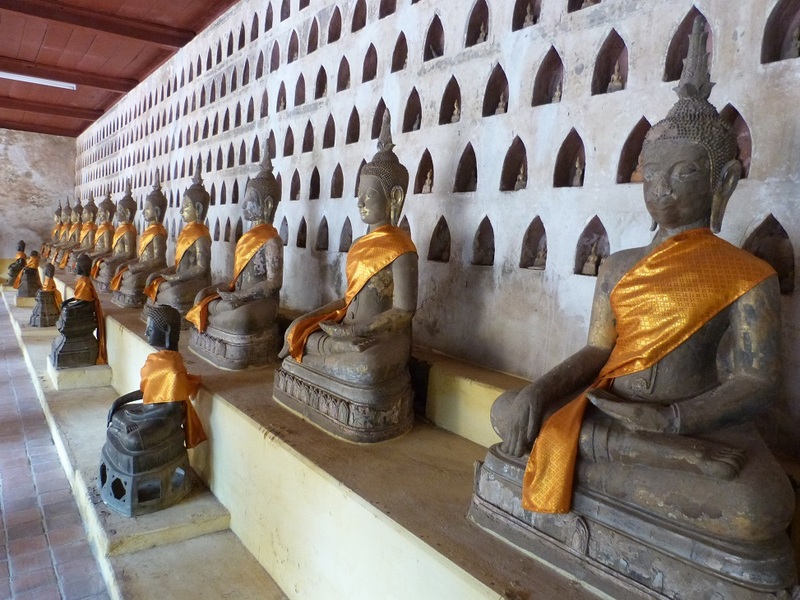 It is one of the most revered sites of Vientiane and welcomes often ceremonies, festivals and processions. Another not-to-be-missed monument of Vientiane! A new temple has recently been built next to the stupa while the National Assembly building is at walking distance and has a very distinctive Soviet style. How to get there: from Lane Xang Avenue, turn right into Street 23 Singha after Patouxay Park. The Stupa faces Nong Sa Phang Leah Park. 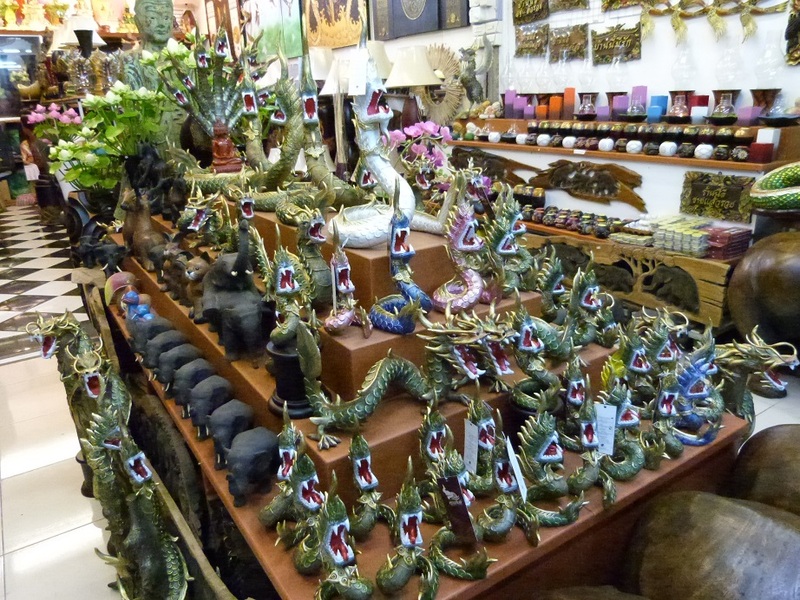 Recently, Vientiane established a night market selling handicraft and food. Called Ban Anou Night Market, it is open every night along Pai Nam Street. How to get there: North of Sethathirat Road in the city centre.